We advise that we will NOT at any time divulge this personal information to any other person or entity. You are to provide an up-to-date address, phone numbers, email (if applicable). If these details change at any time you are required to notify DSC & O at your earliest convenience. With our new and improved loyalty system, every sale gives you loyalty points which can be used for any sale in the future. Your purchases when over $100 (total sales) will allow you to gain a % off on every sale. Once a year we will advise you to spend your loyalty points as if not spent the system will drop them off and start from zero again. 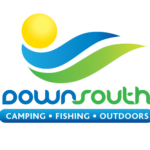 Down South Camping & Outdoors reserves the right to not allow discount on certain products & services within the store. Down South Camping & Outdoors reserves the right to remove any customer from the Customer Loyalty Discount System at any point in time. All products within the store that are on sale, already discounted and the like will not be further discounted by this system. WE ASK THAT YOU INFORM THE STAFF MEMBER SERVING YOU OF YOUR IDENTITY OR CUSTOMER VIP NUMBER as WE CAN NOT BE HELD RESPONSIBLE FOR A SALE NOT GOING THROUGH ON YOUR VIP NUMBER.